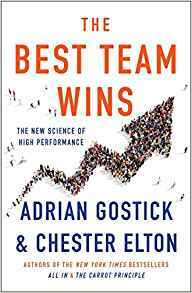 The authors of the New York Times bestsellers The Carrot Principle and The Orange Revolution present groundbreaking new findings: today’s high-performance organizations have a distinctive kind of culture that leads to astonishing results. Teaming up with research giant Towers Watson, authors Adrian Gostick and Chester Elton present an unprecedented 300,000-person study conducted in the worst of the recession. Based on this breakthrough research and their extensive consulting experience with a who’s-who of successful companies, they present a simple seven-step roadmap that all managers can follow to create a high-achieving culture in their own teams. With the most current data available on culture, the authors offer specific how-tos for each step, and tell fascinating stories of leaders in action that vividly depict just how these powerful methods can be implemented. • How managers at any level can build a productive workgroup culture of their own where employees commit to the culture and give that extra push of effort. • A step-by-step method to help identify employees’ particular blend of core motivators. 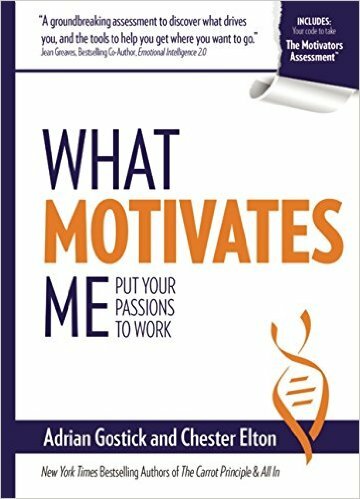 • A process to figure out the disconnect that may exist between employees’ passions and their current work situation. More than half of workers surveyed say they are unhappy in their jobs. The ideas the authors present have been vetted with their consulting clients from American Express to Procter & Gamble to AT&T, and are shown to increase levels of employee motivation, engagement, and productivity. This is a vital message for leadership teams, employee groups, or association audiences. 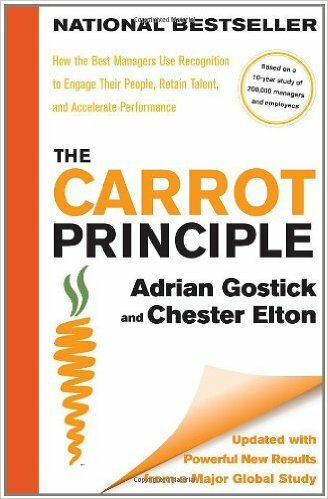 A New York Times, USA Today and Wall Street Journal mega bestseller, The Carrot Principle has become the preeminent source on employee engagement and recognition. 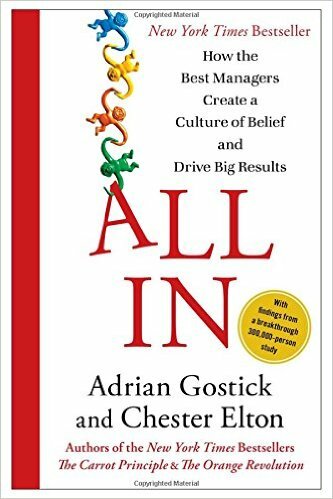 Based on their runaway bestseller, Adrian and Chester reveal the ground-breaking results of one of the most in-depth management studies ever undertaken; showing definitively that the central characteristic of the most successful managers is that they provide their employees with frequent and effective recognition. This breakthrough study of 200,000 people over ten years found dramatically greater business results when managers offered constructive praise and meaningful rewards in ways that powerfully motivated employees to excel. Drawing on case studies from leading companies including Disney, KPMG and the Pepsi Bottling Company, the bestselling authors show how the transformative power of purpose-based recognition produces astonishing increases in operating results. This exceptional presentation introduces the simple steps to becoming a more effective manager and building a recognition culture in your organization; it offers a wealth of specific examples, drawn from real-life cases, of ways to do recognition right. Following these simple steps will make you a high-performance leader and take your team to a new level of achievement. 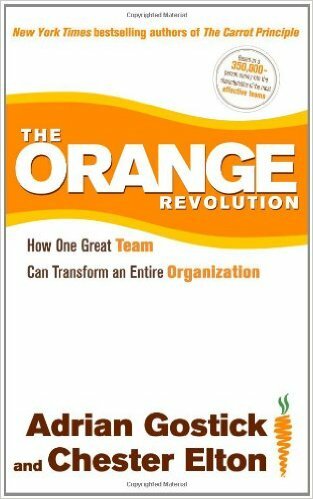 New York Times, USA Today and Wall Street Journal bestselling authors Chester Elton and Adrian Gostick have once again transformed the corporate playing field with The Orange Revolution, recognized worldwide as the premiere book on how breakthrough teams and teamwork revolutionize a company, a community, and the world. 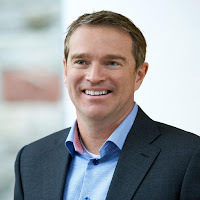 This keynote highlights the key traits found inside the world’s most stellar teams. Adrian and Chester illustrate the steps these teams took to conquer barriers, exceed expectations, and overcome mediocrity through brilliant collaboration. This presentation reveals the synergy that exists among teams in the world’s most respected and innovative organizations and how to tap into that power within any group of individuals. 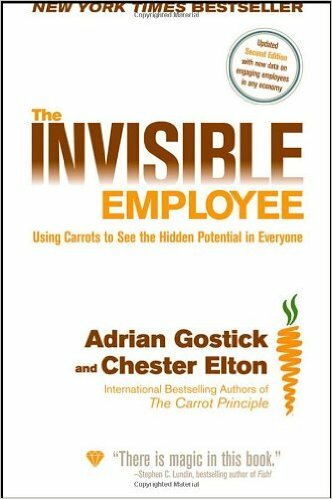 Adrian Gostick is author of the New York Times, Wall Street Journal, and USA Today bestsellers The Carrot Principle, All In and What Motivates Me. His books have been translated into 30 languages and have sold more than a million copies around the world. As a workplace expert, Adrian was called a “must read for modern-day managers” by Larry King, “creative and refreshing” by the New York Times and “fascinating,” by Fortune magazine. He has appeared on NBC’s Today Show and CNN, and has been quoted in The Economist, Newsweek, and the Harvard Business Review. And if you Google the 30 Top Leadership Gurus, you’ll consistently find Adrian on the list along with Jack Welch and Jim Collins. Adrian earned a master’s degree in Leadership from Seton Hall University where he is a guest lecturer on workplace culture, and is a founding partner of The Culture Works, a global consultancy focused on helping organizations building high-performance work cultures. He has consulted with organizations such as Bank of America, Rolls Royce, American Express, California Pizza Kitchen and Hard Rock Café.